The BEST Misa History moment!? người hâm mộ lựa chọn: 1st kiss! What 'moment' between Michael and Sara do bạn like best? người hâm mộ lựa chọn: she`s dead Michael! which song fit`s them the most? 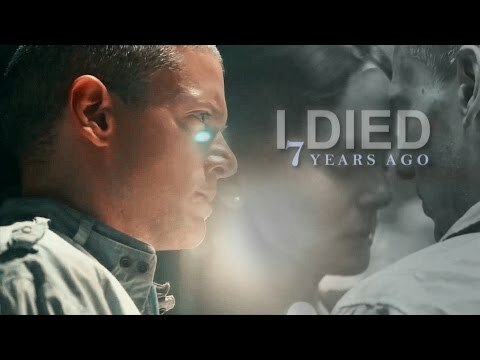 since Michel scofield is dead,wud there be another season? Who help us to vote for thêm MiSa??? please give me your advices about this wallpaper...! how is that? Sara: What do bạn want? Michael: I don't have time to talk, there's every chance their listening to this call right now. But there's a lot I want to say. Please don't hang up on me. Sara: I don't want to talk to you. Michael: I heard about what happened. I want bạn to know, how sorry I am, for everything. Sara: Sorry's not going to do me a whole lot of good with what I'm up against right now. Michael: Listen, anyone with any ties to me and my brother is in danger now. Sara: I believe being part of the solution, not the problem. Michael: "Be The Change bạn Want To See In The World". Sara: Nothing. That was just my senior quote. Michael: That was you? This whole time I was thinking it was Gandhi. Sara: bạn went to Loyola. Michael: You've been checking up on me. Sara: I like to get to know my patients. I went to Northwestern. Graduated two years after bạn did. 1. Because they are adorable together! 2. Because she tends to his wounds. 3. Because he doesn't want to lie to her. 5. Because of the way she smiles when she's with him. 6. Because of the way he smiles when he's with her. 7. Because she would have remembered if she'd met him before. 8. Because she cares about his safety. 9. Because they will be seeing a lot of each other! 10. Because once he gets out, he's taking her to dinner, lunch, and a cup of coffee! Why'd bạn have to kill him?! clips of the cute couple! what did Michael done to make her smile? he đã đưa ý kiến something funny. he made her origami hoa for her birthday. Michael & Sara' s great final!!! Do bạn hate Michael´s death?